From Luis Muñoz Marín Airport take highway PR-30 towards Caguas, follow the signs to Humacao and then Naguabo. Or if you want to drive along the coast and sightsee take PR-3, locally known as "65 de Infantería" to get to Fajardo and then continue south following the signs to Naguabo. You need a car, public transportation is not recommended. It is unreliable and takes too long to reach destinations. When driving and unsure of directions don't hesitate to ask the locals. Most locals understand English they just might be rusty for not practicing it, so bear with them. Use your judgement on who you ask, because although many locals would be happy to help others get a kick out of giving wrong directions. The town square or "Plaza" is the second largest in Puerto Rico and houses the statues of famous "Naguabeños" like Ramon del Rivero "Diplo" (comedian) and Pedro Flores (composer, musician). It also has a small outdoor stage in the shape of a oyster shell, "Concha Acústica", used for music performances and recently as a free open movie theater. If your in Naguabo on a Sunday then the "Malecón" is must. There is great seafood for cheap, handcrafted souveniers, and music every Sunday from noon until dusk. For seafood go to el "Malecón". Next to the town square "Danny's Pizza" is a must. For less than $3 you get a very sizeable slice of pizza. There are several Chinnese restaurants, Burger King, Subway, and a Taco Maker. "Benji's Potato" out of Exit 18 is a locally owned version of Hot Potato. Locals will say is better. Hacienda Moyano, Carr. 971 B. Duque Sector Tablones, ☎ +1 787-874-1971. Check-in: 2PM, check-out: 11AM. 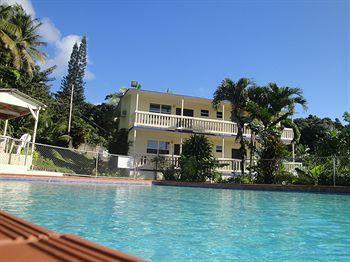 Studio Apartments and Pool for rent at Hacienda Moyano in Naguabo Puerto Rico usd100.00 per night. FOUR (4) STUDIO APARTMENTS - 320 sq ft each-Private entrances and porches front and back, Equipped Kitchen, Air Conditioning, 24 hour video surveillance, Parking, fenced and gated, Pool with Shaded Lounging Areas, Rain Forest and Caribbean Sea Views, Access to Rio Santiago (river) on property. 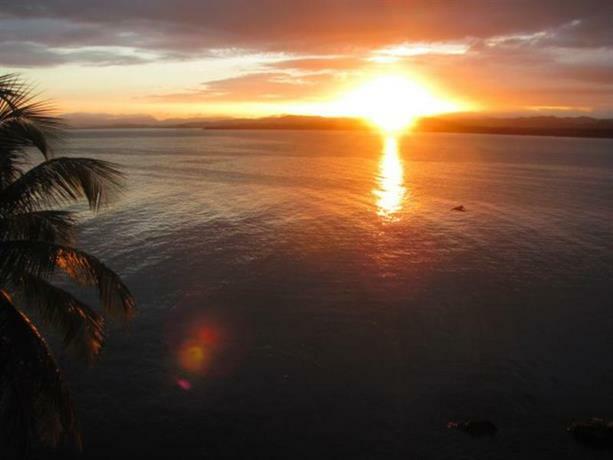 Fajardo - marina, hotel resort with access to islands own by resort, port that sails to the outlying island-municipalities of Vieques and Culebra.